“What’s the meaning of life?” “What happens to you when you die?” As a teenager Didi asked questions like these. But her atheist family toed the Bulgarian communist party line, and they were unable to give her satisfying answers. Living without hope, Didi decided to end her life and jumped out of a 6th story window. God, however, had other plans: she survived the fall! During her month-long recovery in the hospital, she became friends with her nurse…who happened to be a Christian. The nurse became a family friend and eventually led Didi and her mother to Christ. Didi later joined the staff of Cru’s sister ministry in Bulgaria, and was one of the 20 who attended Keynote’s communication training in the capital city of Sofia last summer. Bulgarian staff members like Didi have been trained to use their 3-minute salvation testimony as a lead-in to the gospel. Many of those testimonies express the same hopelessness Didi described. But today’s college students no longer relate to the experiences of those who lived under communism. So Didi and the other trainees were excited to learn from Keynote how to discern the story God is writing in their lives right now and how to tell it in a clear and compelling way. In fact, the response was so positive to last year’s training that Keynote was asked to send a team of trainers to the city of Varna (on the Black Sea). The four of us leave June 14 for a week of teaching and coaching, returning June 23. I’m so grateful to be part of this mission! It’s incredibly rewarding to know that our brief time there will equip these national missionaries with some powerful new tools to reach more of their countrymen for Christ. And there’s more: four of last year’s trainees want to become communication coaches, so we will lead them through the first stage of coach training! I invite you join me in helping spread the gospel in Bulgaria by giving a special gift toward this mission. Since Keynote has received some gifts toward global ministry, I will only need about $1200 to cover my portion of the expenses. If you would like to help, you can either give electronically at my page on Cru’s secure giving site: https://give.cru.org/give/0112686. 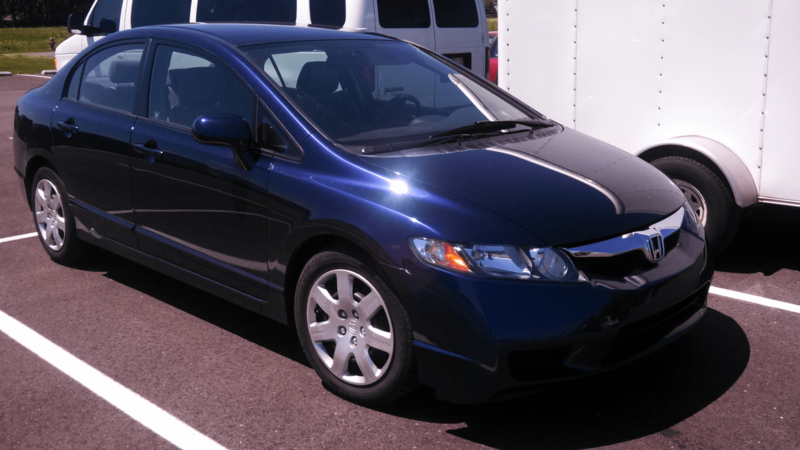 My ’98 Dodge Stratus finally bit the dust, so I bought the 2010 Honda Civic pictured below. If I receive more special gifts than I need for the trip, I’ll put them in my car fund. Jill Corbitt liked this on Facebook. Karen Otte liked this on Facebook.